A paint job is only as good as the people who prepare the surface and apply the paint. What should you expect when hiring a professional painting company? The benchmarks for a quality paint job are no shiny spots from priming, no overspray splatters on the woodwork, uniform color and straight, crisp lines. This is what you should expect when hiring a professional painting company and it's what J & J Painting & Prefinishing delivers. J & J wants you to be a lifetime customer, so your satisfaction is the key to our success. From a simple bathroom repaint to large commercial jobs like the Cambridge Medical Center, J & J can handle it and consistently deliver the quality you've come to expect.We are well known in the area for our residential repaints (interior and exterior), enamel trim work, sprayed ceilings and beautiful epoxy floors. We have the skill to tackle jobs others won't touch. J & J can stain and finish fiberglass entry doors that have an embossed woodgrain texture and even get the color of the grain to match your homes existing woodwork. We also do minor sheetrock repairs including taping and texturing, plus power washing decks, siding and concrete block. J & J Painting & Prefinishing specializes in interior and exterior painting, fine enamel finishes, staining and finishing woodwork (in house or in shop) and durable, multi-color epoxy finishes for concrete floors. We offer service for both homeowners and business owners within a 100 mile radius of St. Cloud MN, so we cover most of the state of Minnesota. 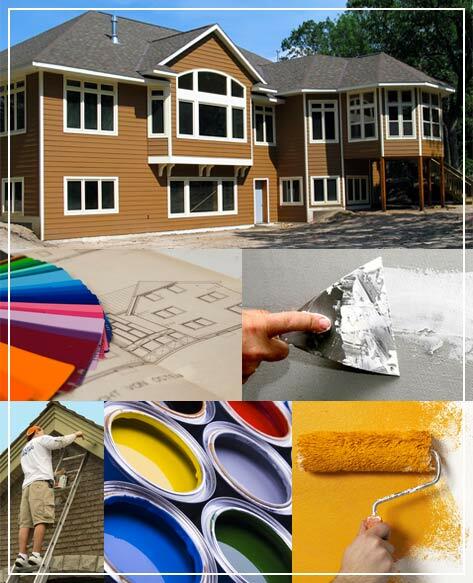 Please give us a call, we would be glad to talk with you about any painting or prefinishing project that you would like professionally done. We look forward to giving your home or business a fresh, new look in the colors you love, and making you one of our lifetime customers.